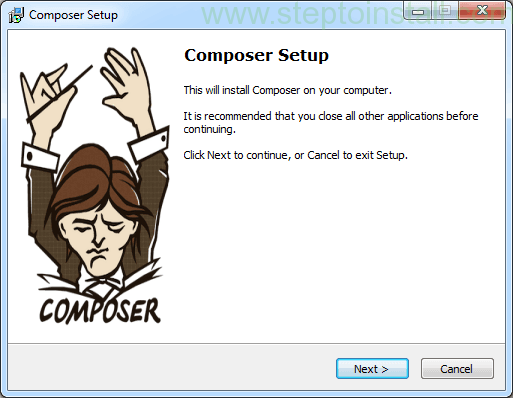 You can download Composer here. It’s updated version. Unzip it and run that .exe file. 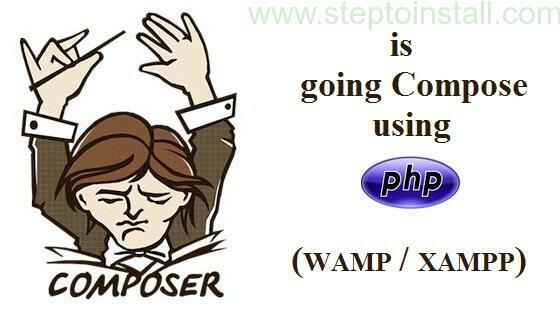 Then do following steps one by one. Click next from above screen. 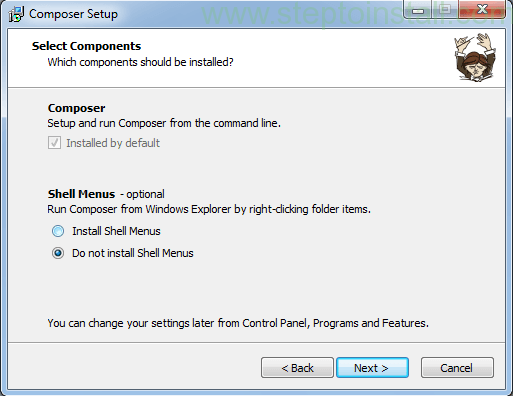 From this screen, If you want to install Shall Menus too, just select the button otherwise select ‘Do not’ then Click next. 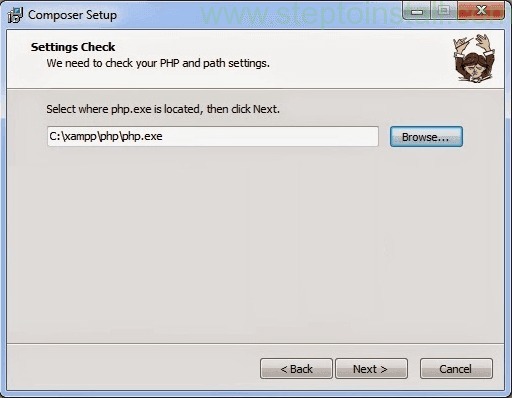 In this screen, Give your php.exe file path using Browse and click next button. 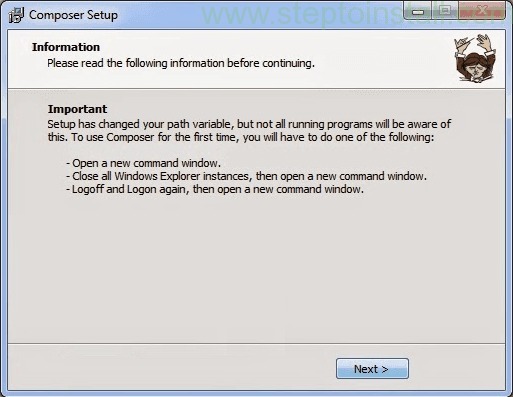 It’s showing Ready to Install screen with your Configuration. 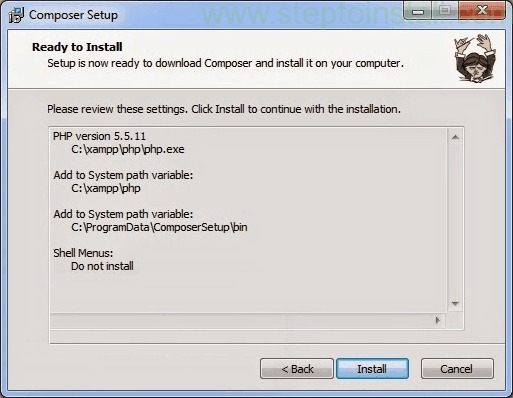 Is it ok, then click ‘Install’ button. Next screen will be screen the Informations and Instructions. Click next to launch. 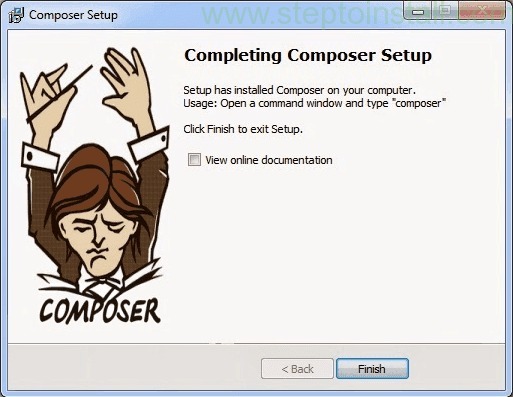 Click ‘Finish’ to complete your Composer installation. Wow! You finished. 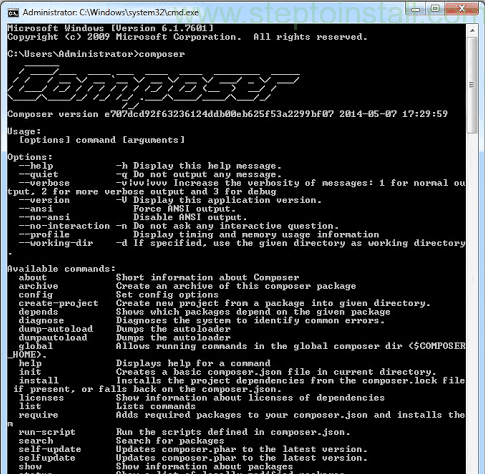 Open Command Prompt ( CMD ), then give Composer in admin directory and check your confirmation. Refer above image.